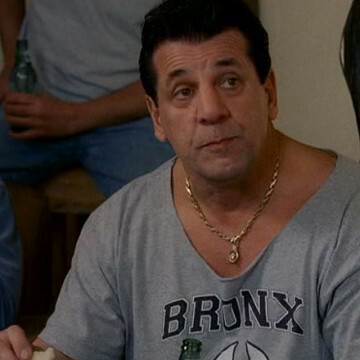 Chuck Zito offers a short cameo in episode three of season four. He first appears at the episode’s halfway point and can be seen enjoying a soccer game at Dennis Hopper’s house. As a jack of many trades, Chuck got his start as an amateur boxer, moved into the bodyguard business, eased into stunt work, and eventually landed in the acting business when he was cast as Chucky Pancamo on HBO’s Oz. Zito is a lifelong motorcycle enthusiast and helped form the New York Nomad Chapter of Hells Angels.